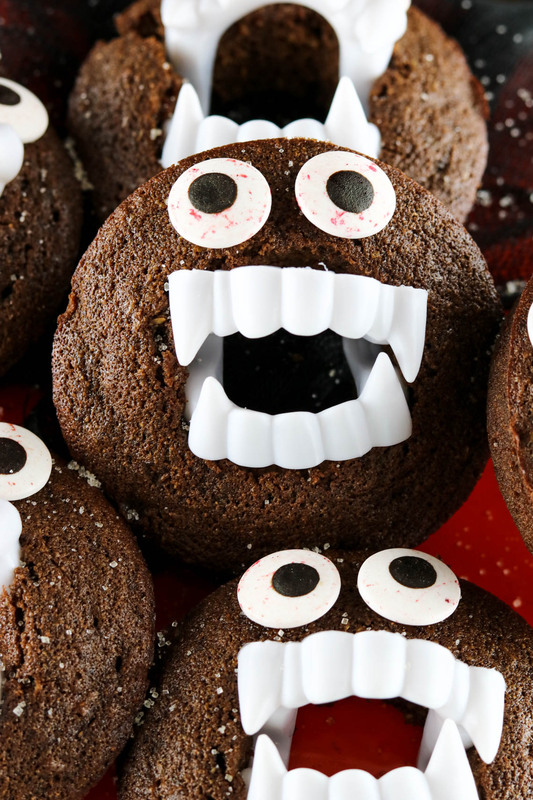 These Paleo chocolate vampire donuts are literally the cutest, aren’t they?!? I don’t have little ones at home anymore, but I do have grandkids that would probably get a kick out of these guys! I left the chocolate ganache off of these but you could totally spice them up with some drizzled ganache. For this round I opted to just sprinkle on some pure cane sugar for an added touch of sweetness. This donut recipe actually came from Grassfed Girl’s website. 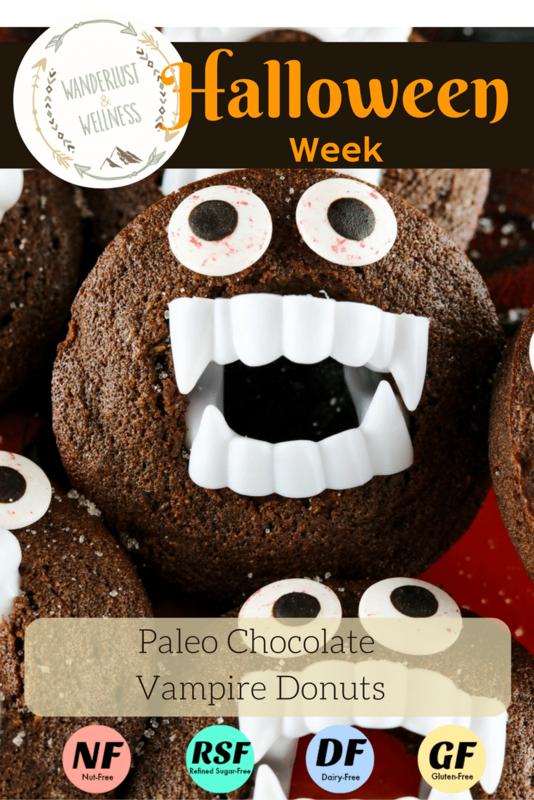 It’s the best nut-free, Paleo chocolate donut recipe I’ve found so far. I want to definitely give her credit for the actual donut recipe. 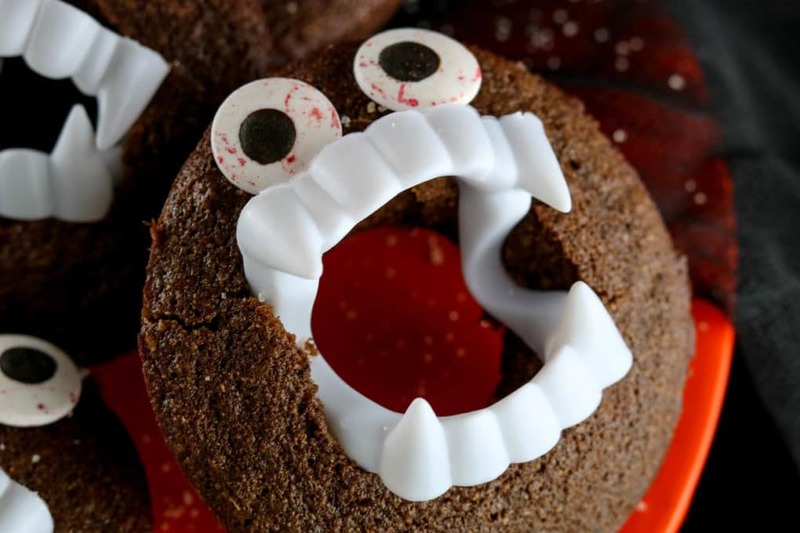 Wouldn’t these Paleo chocolate vampire donuts be the cutest Halloween breakfast for the kids? 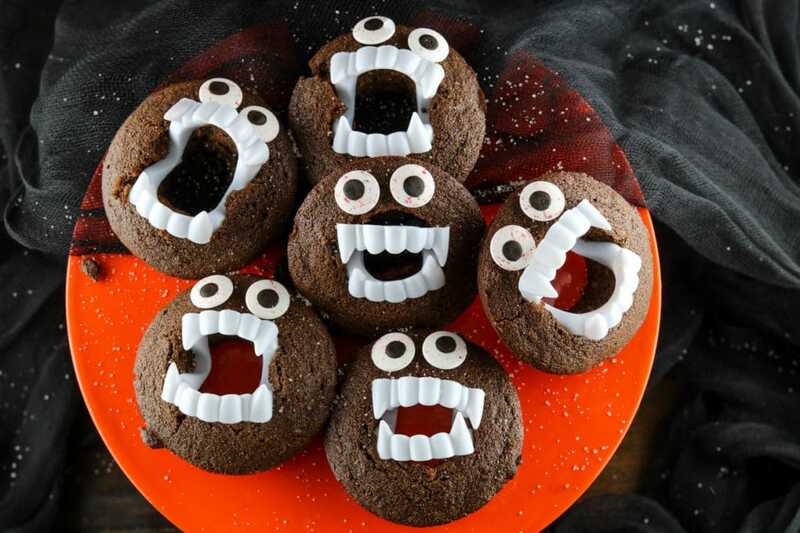 Or maybe even for your Halloween party? The kids will love them and you’ll love that you’re not stuffing them full of sugar and gluten. I know you guys hear me talk a lot about reducing sugar and gluten, but those really are two ingredients that are absolutely horrible for our bodies. I recently listened to a lecture from a nationally known medical doctor and he stated that all diseases can be attributed to 3 main causes; tobacco, poor diet, and lack of physical activity. Under poor diet falls excessive sugar consumption and inflammatory ingredients like gluten. Knowledge is power, and I wish I would have known 20 years ago what I know now because I would have completely changed what I fed myself and my family. But I digress, let’s get back to these super fun donuts! Using a ¼ cup measuring cup, pour batter into a donut pan and bake for 20 minutes or until done. Remove donuts from pan and let cool. Depending on your donut pan, you may need to widen the donut hole opening. Using a sharp knife, widen the donut hole, if needed, for the teeth. Attach eyes to donuts. I used a tiny dab of raw honey to help them stick. Sprinkle with pure cane sugar or drizzle on chocolate ganache. 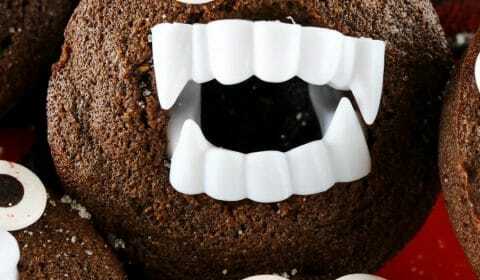 Right before serving, add vampire teeth to the donut hole opening.